As a Company, we will continue to participate in charitable giving in your honor. You are deeply loved and missed Lee." 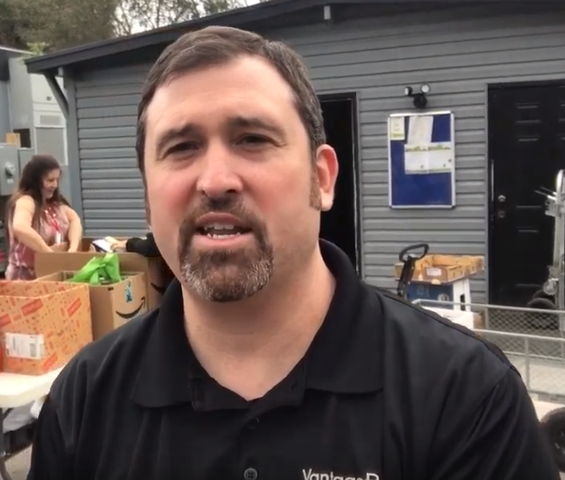 (PRLEAP.COM) Wesley Chapel, Fla, March 26th, 2019 – Vantagepoint AI, the software company that developed the first artificial intelligence (AI) trading software in the world available to retail investors and traders, came together and honored Forrest "Lee" Mendelsohn with a Food Bank donation to Life Community Center to commemorate his life, memory and his love for working at food banks and helping those in need. The Vantagepoint AI team collected over 411 pounds of food in over 1,000 separate items. "While losing Lee has been painful", said Lane Mendelsohn, "we reflect on his memory and are thankful for how he touched our lives and continues to open our hearts. As a Company we will continue to participate in charitable giving in your honor. You are deeply loved and missed Lee." The food was earmarked for the homeless and needy in the immediate community. Special snacks and "pop top" can goods were set aside for children because they often run short of food on weekends. "As our Company grows as a result of our artificial intelligence technology empowering traders daily, we will be able to not only continue giving back to those in need but increase our charitable giving. Our Company exists to provide a better life for people by showing them a path to financial freedom and that is very fulfilling." said Lane Mendelsohn. Many companies are just now beginning to adopt artificial intelligence, but the Mendelsohn Family began providing AI software solutions to traders and investors in the late 1980's. They hold two patents on their 86% accurate, predictive technology. See the science of artificial intelligence and how Vantagepoint Software can make a difference in the future of trading by getting a demo at https://www.vantagepointsoftware.com/demo/ or by calling 1-800-732-5407. 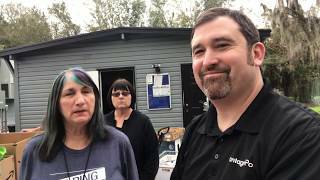 About Vantagepoint AI, LLC. Headquartered in Wesley Chapel, Fla., Vantagepoint AI, creators of Vantagepoint Software, is a leader in trading software research and software development. Vantagepoint forecasts Stocks, Futures, Forex, and ETFs with proven accuracy of up to 86%. Using artificial intelligence, Vantagepoint's patented Neural Network processes predict changes in market trend direction up to three days in advance, enabling traders to get in and out of trades at optimal times with confidence.